please take a look at the page of the WColConv color converter. With WPanorama you can display panoramic pictures by letting them scroll horizontally or vertically on the screen. 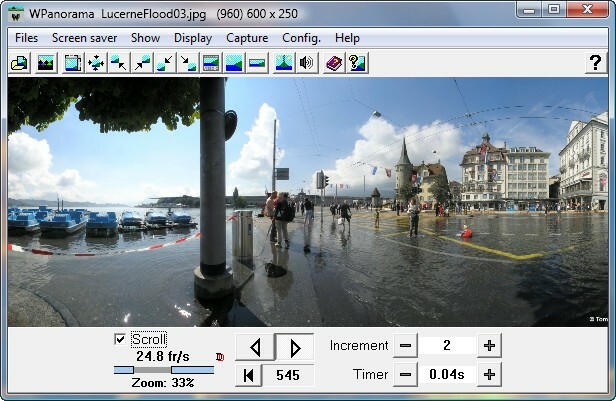 You can use this software to view the gorgeous 360° swiss panorama included with the program, the 4'345 panoramas available on this site or your own pictures in .jpg or .bmp format. When you install the software, both the executable program and the screen saver are installed. While most of the parameters of the screen saver can be adjusted from its parameters panel, it is possible to set the parameters in WPanorama.exe in real time (with the scrolling picture displayed) and then send them to the screen saver through the configuration files. 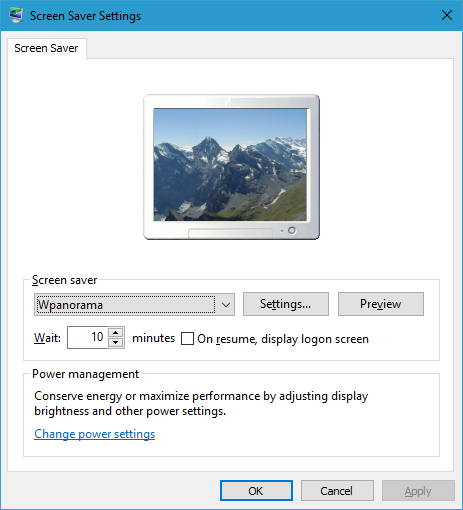 If you plan to use the screen saver in a graphic mode other than the desktop mode (default), WPanorama.exe can be used to fine tune the various modes. These settings will be used by both the executable program and the screen saver. spyware, viruses, trojans and backdoors. was found to be 100% clean. assure that it remains clean.